Dogs bring us so much joy, love and happy memories. They become part of the family and can have just as much personality as our human family members. Although they can’t help it, their inevitable coat-shedding just isn’t as easy to love! Depending on what breed of dog you have, there are various ways to decrease the amount of hair deposits left around your home, and using a good dog shampoo is one of them. In this article, we will be helping you find the best dog shampoo for shedding for your four-legged friend. All dogs shed at least some hair. Some breeds shed a lot more than others, depending on the hair-length, and if they fluctuate with the seasons. For example; Chow Chow, St. Bernard, Husky, Great Pyrenees, Golden Retriever, and Malamute are among some of the “heavy-shedder” dog breeds because of their countries of origin and/or the thickness of their coat. There’s not a lot you can do to completely halt the shedding process, but by regular brushing, a good shampoo, and a good vacuum cleaner, you can easily manage it. It’s natural for dogs to shed more hair as the weather get warmer. Just as we store away our winter jackets when the weather warms up, dogs shed their own winter coats too. But sometimes, health problems can contribute to the level of shedding your dog experiences. Stress, malnutrition and other issues can cause heavier shedding, so it’s good to look out for unusual changes. The condition of the skin beneath the fur is also a good place to look if your dog seems to be shedding more than usual, or more than the season might suggest. Dry patches, rashes, scaly skin, and redness are signs of skin issues which can also lead to shedding. There are some great shampoos on the list below which can be very helpful treating these skin conditions while reducing excessive shedding. More often than not there isn’t a problem and an increase in shedding is just your dog’s way of adapting as the seasons change from cold to warm. It’s just nature doing its thing. Of course, that doesn’t make it any less annoying when your furniture is covered with dog hair. And while it’s natural for dogs to shed it is natural for us to want to manage that shedding process. By regular grooming and shampooing you can to help the hair loosen and release. What are the best ingredients to look for in a dog shampoo? Dogs have delicate skin and hair follicles, just like we do, and there are certain ingredients that are best at caring for them. The following ingredients are great at supporting the skin and hair in order for effectiveshed-management. Vitamin E is a powerful, fat-soluble antioxidant. It penetrates to cell-level where it works to protect cells from free radical damage. Thisis great news for skin and hair (for humans and dogs! ), because it supports the hair follicles, making them strong and secure, so the hairs are tightly “held on to”, therefore…less shedding. Vitamin E is great as both an internal and external ingredient for diet and skincare. Buying a dog shampoo with Vitamin E will help to keep shedding under control, as well as nourishing and protecting the skin and coat. Oat protein is a great ingredient for dog shampoos as it is soothing, softening, and offers super anti-inflammatory benefits. If your dog is prone to allergies or skin irritations, oat protein is a good thing to look out for, as it gently soothes and reduces inflammation and irritation. Oat protein is also very hydrating, which is great for dogs with scaly or dry skin. By keeping the skin nourished and protected, you can reduce ailment-related shedding. We all know omega’s 3 and 6 are essential for healthy skin hair for us humans…but they can provide equally as many benefits for dogs. When topically-applied in the form of a shampoo, these Essential Fatty Acids offer a range of benefits including; a shiny coat, soothing of irritation or inflammation, softer hairs and skin, soothes dehydrated skin. Aloe Vera is a popular ingredient as it is great at relieving itchy and irritated skin, as well as being anti-bacterial and anti-fungal. 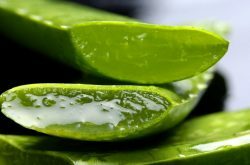 The gel from Aloe Vera plants is rich in amino acids, which helps to heal damaged skin by keeping it moisturized, but without inviting fungal infections. As the name suggests, this product is designed to drastically reduce shedding. This may seem too good to be true, but it really does work. It doesn’t actually stop the hairs from falling out altogether, but it does release the hairs during the washing process, which means there is far less hair to fall out while your dog goes about his daily life in your home. 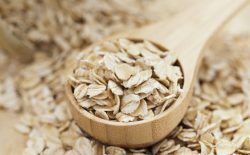 The impressive list of natural ingredients includes all of the top ingredients we have covered above; oatmeal proteins, vitamin E, and Omega 3 & 6 EFA’s. Depending on your preference, the smell might not suit you. This product might cause too much hair-loss for your dog if he/she is not already a heavy-shedder, as some people have found. If your dog is not an excessive shedder opt for a gentler product. Some ingredients might cause a reaction, (as natural ingredients can cause reactions too), so it’s best to do a spot-test in case your dog has an allergy you are unaware of. This is a gentle yet effective shampoo for dogs. The star ingredient is oatmeal, which relieves dry, itchy, scaly or irritated skin which can cause excessive shedding. This product is pH balanced, which means it won’t disrupt the natural composition of your dog’s skin, hair and oils. The deeply-moisturizing properties of oatmeal will leave your dog feeling comfortable and clean, with a soft, shiny coat. The coconut-verbena scent is a sweet bonus too, as your dog will be running around, smelling divine! Some people might not like the scent if they don’t like coconut, or strong smells in general.Try a scent-free option if you prefer an odourless shampoo. Some buyers have experienced a leaking bottle, especially if bought online, (it’s best to keep it stored upright at home). This product is the perfect option for dogs who become smelly quickly, or who tend to get into mud and dirt on a regular basis! The odour-neutralizing ingredients help to keep your dog fresh and clean long after their bath, and smelling lovely. 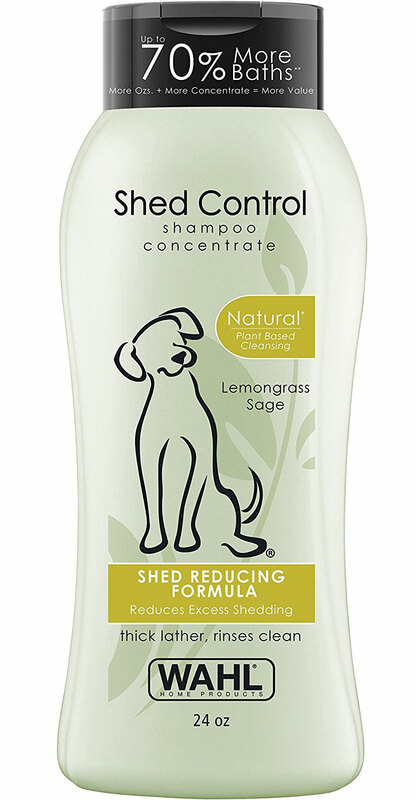 The shed-control aspect of this product works by nourishing and repairing the hair-follicles with Vitamin E. As most shed-control shampoos, this one works during the actual washing process as well; as you wash your dog, you will notice the hair being loosened and released into the bath, instead of gradually falling out all over your house. For dogs who have allergies or dry skin, this one might not be the best choice. It won’t necessarily irritate the skin, but it just won’t offer the same amount of relief as other products, such as those with an oatmeal base. This highly-rated product has been formulated to reduce shedding by smoothing and detangling the fur, in order for the hairs to be released smoothly. Aloe Vera and Wheat Germ Oil are key ingredients, as they both work to soothe and replenish the skin and coat, leaving your dog shiny, smooth and without his layer of loose hair. The shampoo has a sibling product designed to be used in conjunction; the Shed Patrol De-Shedding Solution, which is kind of like a tonic. Basically, you dilute the solution with water, pour it over the dog’s coat, and leave it for 3-5 minutes before rinsing out. When these two products are used together, they really do work wonders. This product might not be best for those looking for a completely organic or natural shampoo, as there are some colours added to the mix. This natural pet shampoo from Wahl follows the same philosophy as others on this list; healthy skin means healthy coat, and less shedding. The addition of oatmeal, Aloe Vera and glycerine help to moisturize and replenish the skin, to avoid dryness and itchy discomfort. The lemongrass and sage scent is lovely for those who like fresh and earthy scents. This is a great choice for those who are looking for something they can trust to be 100% natural. Although some of the ingredients sound “science-y”, they’re not. For example; “Cocoamidpropyl Betaine” sounds scary, but it’s really just a cleanser drawn from Coconut fatty acids! Due to the long list of all-natural ingredients, there may be something in there that could irritate your dog’s skin. Natural oils and ingredients can irritate dog (and human) skin just like chemicals can. It’s simply a matter of trial and error to find out if there’s anything that upsets your dog. Try a spot-test first to see if there is any itchiness or redness. As we have learnt here, keeping your dog’s skin and coat healthy is the cornerstone to preventing excessive shedding. By keeping the skin hydrated and nourished, and the coat strong and healthy at follicle-level, you can avoid health-related shedding. 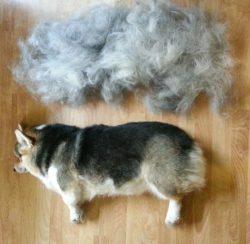 The seasonal shedding your dog experiences is inevitable and you can’t stop it entirely. 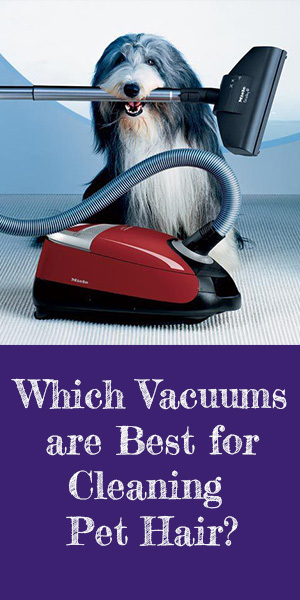 However, if you choose a good dog shampoo, you can get to the loose hair before it gets to your carpets. Some shampoos, (such as the FURminator deShedding Ultra Premium Shampoo) actually help to release and remove the hair as you wash your dog, so the hair comes out in your bath before it can fall out on its own. Oatmeal, Vitamin E, Aloe Vera, and Omega 3 & 6 EFA’s are great ingredients to look out for, as they all work to keep the skin healthy and support the hair strength. Scents can be very polarizing, some people love one scent, while others completely hate it! If you are fussy when it comes to scents, try a shampoo with a more neutral or subtle scent to avoid disappointment or irritation (of your nose, not the dog!). To decide which one of our list is the best dog shampoo for shedding for your dog assess your dog’s skin and coat to see if there are any issues you need to check out, and then choose your shampoo accordingly. By regularly brushing your dog, and washing him or her with a good de-shedding shampoo, you will notice a pleasant reduction in those “lovely” hair deposits you find all over the house! Your dog will be happier too, with a shiny coat, and comfortable, nourished skin.